Cats are just like butterflies - they are adventurous and playful beings who have taken much place in our hearts. 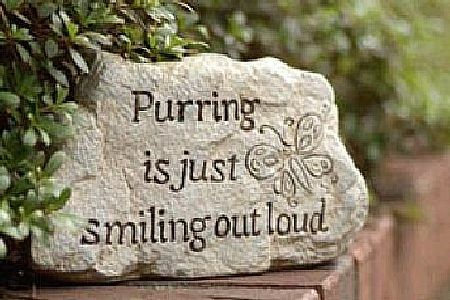 Our inspiring garden stone reminds us of the cat who loves to purr out loud and is as happy as a playful butterfly. Made of stone and resin aggregates.